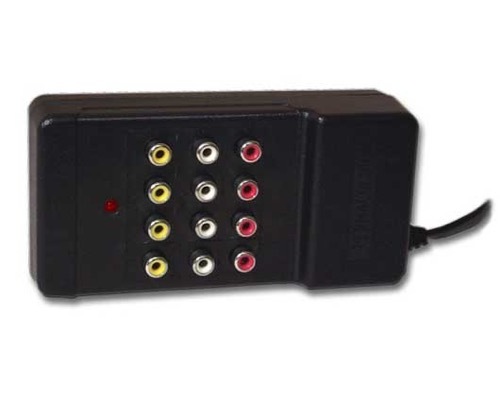 Splits video and stereo audio output signals from VCR and other video source to as many as three other VCRs or monitors without signal loss. Great for use with multi-VCRs, surveillance camera setups, or camcorder to VCR dubbing setups. Helps prevent signal loss from long cable runs. Permacolor 3-Set Audio Video Distribution Amplifier. Splits video and stereo audio output from VCR or other video to up to three other VCRs or monitors without signal loss from long cable runs. Great for multi-VCRs, surveillance camera, camcorder to VCR dubbing setups AC operation, UL Listed.